On May 14, 2015, Stuart Pearl used discretion to liquidate positions in six different securities with a total principal amount of approximately $20,000, on behalf of a senior investor. Although the investor had authorized Pearl to execute these liquidations in discussions that took place prior to May 14, 2015, Pearl failed to speak with the investor again on May 14, 2015, to confirm the investor’s authorization to make these sales. Pearl’s use of discretion as described was without prior written authorization from the investor, and without prior written acceptance of the account as discretionary from his firm, Ameriprise. By virtue of the foregoing, Pearl violated NASD and FINRA rules. In June 2010, two other customers of Pearl, who were retired and both in their 70s, opened a joint brokerage account with him at Ameriprise. The new account documentation provided that securities could be purchased on margin, a process or lending money to buy securities that involves a great deal of risk. At the time they opened their account, the investors had an investment objective of “growth and income,” a risk tolerance of”conservative/moderate” and limited experience with trading on margin. They also had a combined annual income of $30,000, a liquid net worth of$500,000 and investable funds of $400,000. Between September 2011 and March 2012, Pearl recommended that the investors purchase four securities valued at approximately $122,000 on margin. Prior to making those purchases, the customers bad no margin debt balance in their account. 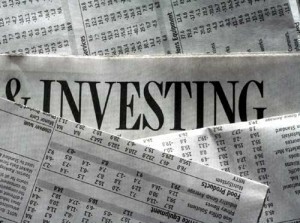 As a result of those investments, the investors experienced a significant increase in their margin debt balances in relation to their available funds and their account was subject to seven margin calls during the relevant period, where the parties must deposit funds into their account to pay the outstanding loan or risk liquidation of their portfolio. The recommendation to purchase such investments utilizing margin was unsuitable and in violation of FINRA and NASD rules prohibiting unsuitable recommendations. Ameriprise had a duty to oversee the transactions of Pearl and should be responsible for the lack of supervision given Pearl. More information on this matter can be found in the October 10, 2017 issue of InvestmentNews. This entry was posted in Uncategorized and tagged Chicago, churning, class action, financial adviser, financial advisor, financial advisor fraud, Illinois, unsuitable investments on October 10, 2017 by Jeff Pederson. Jeffrey Pederson is licensed in the federal courts for the Northern and Central Districts of Illinois, and has aided investors nationwide in the recovery of investment losses, such as muni bond losses. Please call 1-866-817-0201 for a free and confidential consultation with an attorney. We are currently investigating the potential recovery for losses in muni bonds issued by both Illinois and Chicago. The risks of these bonds were foreseeable for years. Financial professionals have a duty to only recommend investments that are consistent with the level of risk the investor both wants and can withstand. Those either looking for retirement income or non-speculative investments may possibly have a claim if recommended either the Illinois or Chicago bonds. Illinois bonds have long been at risk since the state has not had an approved budget in over two years. The state currently has over $14 billion in unpaid bills. This comes in the wake of similar financial problems in the territory of Puerto Rico. In Puerto Rico, financial problems led to bankruptcy and caused thousands of investors to lose their life savings when they were led to believe that they were invested in “safe” municipal bonds. Chicago is also on the verge of bankruptcy. For years, the return on Chicago bonds were known to be too good to be true. In 2014, the city’s debt was downgraded to junk status given the massive debts owed to four of its pension funds. This led to a widespread selloff in Chicago muni bonds. Chicago Mayor Rahm Emanuel, in response, instituted a record property tax increase for city residents. Bills in 2016 will be, on average, 13% higher. The increased ‘revenue’ to the city is being used to help fix the four pension funds’ large underfunded status. The Mayor’s plan to fix the $20 billion public pension shortfall was ruled unconstitutional. The restructuring plan was passed by the state legislature in 2014, but was struck down due to the state’s constitution, which has a clause that forbids the reduction of public pensions. This entry was posted in Uncategorized and tagged attorney, Chicago, financial adviser, financial advisor, FINRA, fraud, Illinois, lawyer, Municipal Bond on June 1, 2017 by Jeff Pederson. If you invested with Matthew Maczko, a broker with Wells Fargo Advisors in Oak Brook, Illinois and suffered losses that you question, please call 1-866-817-0201 for a free and private consultation with an attorney concerning your rights. Maczko was suspended from the securities industry last week, the week of February 7, 2017, for alleged excessive trading in the brokerage accounts of a 93-year-old customer, according to a FINRA. 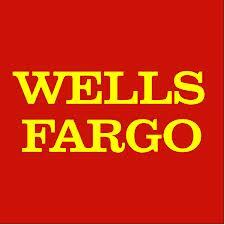 Maczko effectively controlled the customer’s accounts, which had an average aggregate value of $3 million. Maczko’s trading generated more than 2800 transactions resulting in $582,000 in commissions, $84,270 in fees and approximately $397,000 in trading losses for the account in question. Such trading activity was not only churning but was also unsuitable for Maczko’s victim given the customer’s age, risk tolerance and income needs. Maczko also intentionally mislead FINRA regulators and investigators by telling them during testimony that he had not spoken to other senior customers after his termination from Wells Fargo, when in fact he had spoken with them several times. 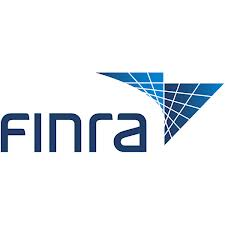 Securities brokers are required to follow the rules of FINRA. FINRA requires that investments not only be suitable in terms of the nature of the investment, but also that the investments be quantitatively suitable. This means that the number of trades cannot be excessive in light of the wants and needs of the customer. Above a certain level, the trades can be seen as not being for the benefit of the customer, but for the broker. The trades of Maczko went well beyond the acceptable number of trades. This entry was posted in Uncategorized and tagged arbitration, attorney, Chicago, churning, class action, excessive trading, FINRA, fraud, Illinois, investigation, lawyer, Securities, securities fraud, Stockbroker fraud, unsuitable securities, Wells Fargo on February 14, 2017 by Jeff Pederson. FINRA has announced that Tobin Joseph Senefeld, formerly of PIN Financial, a Carmel, Indiana brokerage firm owned by Veros Partners, has been barred from associating with any FINRA member institution, according to its monthly disciplinary report released last week. The sanction is related to a Securities and Exchange Commission suit that claimed Senefeld and two others operated a multimillion-dollar Ponzi scheme involving farm loans. The SEC case claimed the three raised $15 million from 80 investors in 2013 and 2014 to fund farm loans. 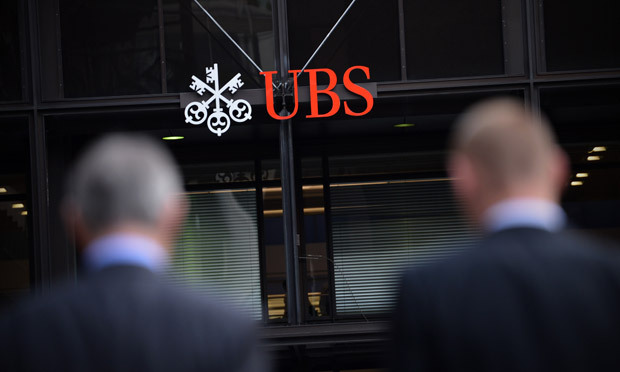 New investor funds were used to pay older investors when the loans went bad. Senefeld has a long history of misconduct. The FINRA and SEC actions are just the latest of his legal problems. The record of Senefeld contained on FINRA’s BrockerCheck indicates that Senefeld has 27 disclosure events dating back to 1997. The prior misconduct of Senefeld, also known as “disclosure events,” include a substantial number of state regulatory actions, including the revocation of his license by Michigan in 2000 and other regulatory punishment by 16 other jurisdictions around the same time. Senefeld also had a long history of tax liens, terminations, and civil suits initiated against him by other investors. Co-defendants in the present SEC matter, Matthew D. Haab and Jeffrey B. Risinger, both have settled the civil suit for about $184,000 and $100,000, respectively. Senefeld and the SEC failed to reach a settlement at an in-person meeting Oct. 28, according to court filings, so Senefeld’s case remains on course for trial. Senefeld, PIN and Risinger have all received lifetime bans from the securities industry by FINRA. This entry was posted in Uncategorized and tagged arbitration, attorney, attorney representation, Chicago, class action, due diligence, FINRA, fraud, Illinois, Indiana, lawyer, PIN, Ponzi, SEC, Stockbroker fraud on December 21, 2016 by Jeff Pederson. If you were an investor of Jean Walsh-Josephson, please call 1-866-877-0201 for a free consultation concerning potential recovery for your losses. Jean A. Walsh-Josephson was a financial advisor for Thrivent, formerly Thrivent Financial for Lutherans. A Winnebago County judge has ordered a two-week trial for this former Oshkosh, Wisconsin financial adviser who accused of stealing $4 million from her mostly elderly investment clients. The trial for Walsh-Josephson is set for Feb. 20 through March 3, 2017. Judge Thomas Gritton ordered the trial this week, days after victims and their families gathered in court May 13 for what they were led to believe would be a plea and sentencing hearing. Walsh-Josephson faces 28 counts of theft in a business setting of more than $10,000 each after authorities say she stole more than one million dollars from at least seven clients in Winnebago and Outagamie counties. She also faces felony forgery misdemeanor theft and obstructing an officer charges after authorities say she stole $400 from a client while acting as a third-party intermediary in a property dispute. If convicted on all charges, she could face a maximum sentence of 287 ½ years in prison. The question for investors is the question of why Thrivent did not detect this level of theft. All firms have a duty to take reasonable steps to detect and prevent broker theft. Jeffrey Pederson has handled numerous cases concerning the theft and outside activity of brokers and have helped investors obtain favorable judgments and settlements. Please call for a free consultation. This entry was posted in Uncategorized and tagged AAL, arbitration, attorney, Colorado, financial adviser, financial advisor, FINRA, fraud, Illinois, Investments, Iowa, lawyer, Minnesota, securities fraud, stock broker, stockbroker, Stockbroker theft, theft, Thrivent, Wisconsin on May 20, 2016 by Jeff Pederson. Jeffrey Pederson, P.C. helps investors determine if they have a right to recover investment losses in oil, gas or other investments. Please call 1-866-817-0201 toll-free for a free consultation. In 2016, oil dropped to a price below $30 a barrel. Many investors simply ignore their losses, believing that the loss is simply due to the market, without knowing that they may be entitled to a recovery. Such individuals unnecessarily let their plans for retirement or other future plans go unfulfilled because of the financial loss they sustained. Since late 2014, countless oil, gas and other energy companies have filed for bankruptcy. Many investors in these companies were illegally sold these investments by brokerage firms motivated by commissions paid by the investments. Such investments can take many forms including, but not limited to, Master Limited Partnerships (MLPs), common stock, notes, bonds, mutual funds, and Exchange Traded Funds (ETFs). American Eagle, BPZ, Buccaneer, Climax Energy, Duer Wagner, Hart Resources, Hercules Offshore, Linn Energy, Milagro Oil and Gas, Petrobras, Quicksilver Resources, Sabine, Samson Resources, Sandridge Energy, Southern Pacific, Walter Energy and WBH Energy. 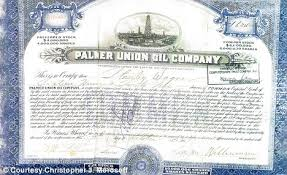 Oil and gas limited partnership losses can do more than take away the hard earned principal of investors, it can also create tax liabilities that the investor was not expecting. The result is that the investor could lose more than invested. The following link discusses the risks that in more detail. Jeffrey Pederson has represented investors in Alabama, Arizona, Arkansas, California, Colorado, Connecticut , Florida, Hawaii, Massachusetts, Montana, New Jersey, New Mexico, New York, North Carolina, Minnesota, Missouri, North Dakota, Rhode Island, Texas, Utah, and Wyoming, in FINRA arbitration actions against securities brokerage firms for unsuitable investments. Please call for a confidential and free consultation. 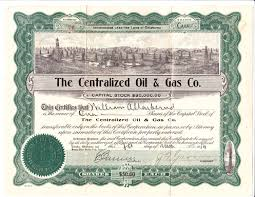 This entry was posted in Uncategorized and tagged Colorado, Energy, FINRA, fraud, Gas, Illinois, investment, Limited Partnership, Linn, Master Limited Partnership, MLP, Negligence, New Jersey, New Mexico, New York, Oil, Sandridge, Securities, Texas, UDF on May 28, 2015 by Jeff Pederson. We help investors who believe that they are victims of variable annuity fraud. Variable annuity fraud has always been a frequent trick of brokers looking to put their own interests ahead of their investors (often by selling to those approaching retirement which is generally an unsuitable recommendation). The investments pay an extremely high commission and the investments are only suitable for a small section of the investing public. This fraud hit a new low last week. As reported in http://www.investmentnews.com/article/20140313/FREE/140319954, the Securities and Exchange Commission Thursday, March 13, 2014, filed charges against a group of brokers in a scheme wherein investors used variable annuities to wager on the lives of the terminally ill. The brokers in question were Michael A. Horowitz of Los Angeles and Moshe Marc Cohen of Brooklyn, N.Y. The brokers allegedly obtained the personal health and identification data of the dying patients through fraud, marking them as annuitants on variable annuity contracts that he had marketed to wealthy clients, according to the SEC’s complaint. Under false pretenses, the brokers allegedly received their employers’ approval to sell the annuities. The motivation with this plan, as with most fraudulent sales of variable annuities was the commission. Variable annuities pay as large of a commission as just about any investment product that you can purchase through a securities brokerage. The brokers reaped approximately $1 million in commissions from their sale, the SEC claimed, with Mr. Horowitz obtaining more than $300,000 and Mr. Cohen became unjustly enriched to the tune of more than $700,000. If you have lost money with these or any other brokers you believe may have defrauded or mismanaged you portfolio call 303-300-5022. This entry was posted in Uncategorized and tagged arbitration, attorney, attorney representation, California, Cetera, class action, Colorado, Dallas, Denver, due diligence, financial adviser, financial advisor, FINRA, Florida, fraud, Illinois, Investments, lawyer, loss, Minneapolis, Minnesota, New Mexico, Stockbroker fraud, Texas, UDF, unsuitable investments, unsuitable securities on March 16, 2014 by Jeff Pederson.